IDF reveals that Iranian drone which infiltrated Israel in February was tasked with attacking Israel. The IDF revealed on Friday evening that the Iranian drone which infiltrated Israel in February was armed with explosives. 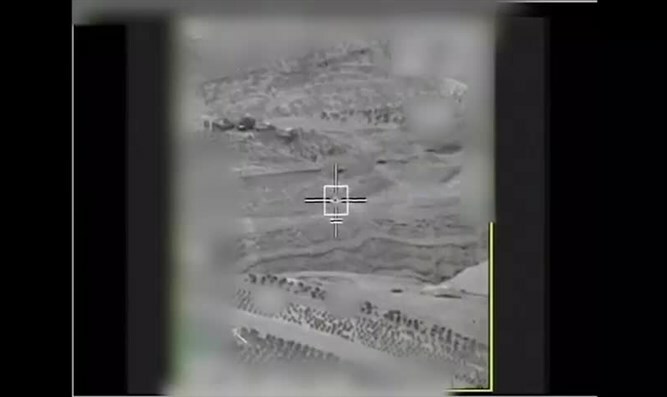 “After flight path analysis and an operational and intelligence-based investigation of the Iranian UAV that infiltrated Israeli airspace on February 10, 2018, the IDF concluded that the Iranian UAV was armed with explosives and was tasked to attack Israel,” said the IDF Spokesperson’s Unit. “By intercepting the Iranian UAV, IAF combat helicopters prevented the attack Iran had hoped to carry out in Israel. The UAV was identified and tracked by Israeli defense systems until its destruction, effectively eliminating any threat the Iranian UAV posed,” it added. The Iranian drone which entered Israeli airspace from Syria remained in Israel for 1.5 minutes before the IAF shot it down. Both pilots ejected, one suffering light injuries and the other seriously injured.